This series of three “Mountain Goat” scarves is not related to any local organization bearing that name, but we guess you’ll note the colors are indeed inspired by one of those organizations. 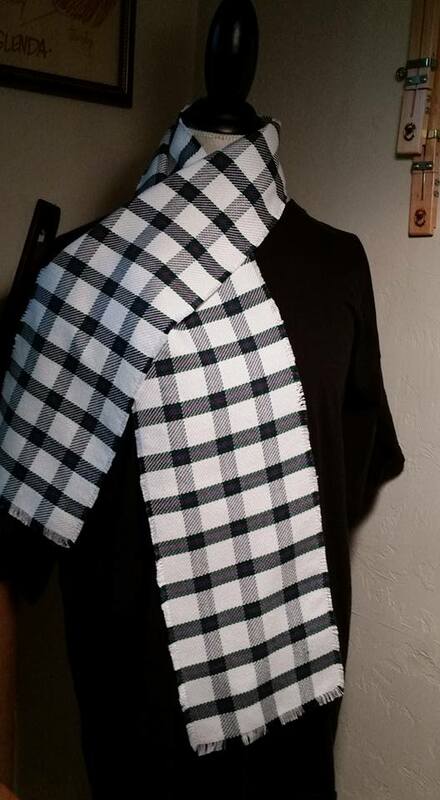 Each scarf is woven from 100% mercerized cotton, and is about 5.5″ x 9′ long, for a great wraparound effect. They have been woven especially for the November 20th local merchants event at the Monteagle Chamber of Commerce, but are available now. Just In Time for Sewanee Football! or through http:Ephods and Pomegranates.com. $45.00 +$5.00 S&H if you need it mailed. or through http:Ephods and Pomegranates.com. $60.00 +$5.00 S&H if you need it mailed. 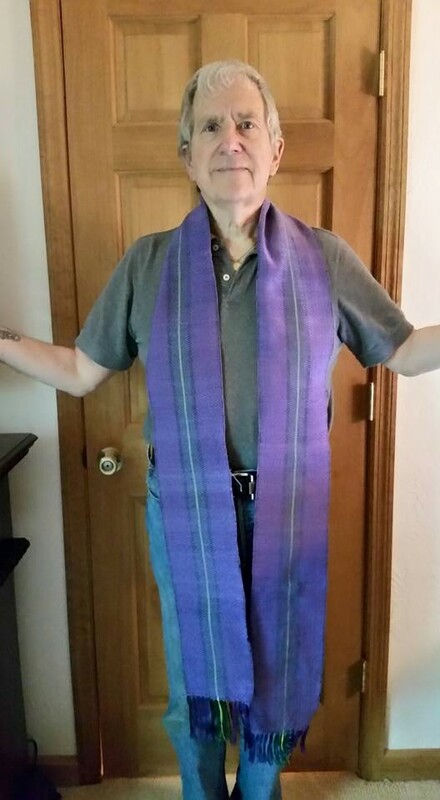 But why weave a Lenten stole in the middle of July, with nearly a year to go before Lent rolls around again? Sometimes the most important thing in weaving is practicality. Remember a while back when we had to remove and rewind the warp for the Morgan’s Steep Tartan scarf? (It was finally completely a bit ago – see an earlier post.) The warp suffered a good bit of damage in the process and yielded only one scarf. This is a remnant of that warp, minus 12 threads on both sides that broke in the process. What to so with a stole-width warp? Weave a stole! This one SOLD immediately, but we’ll take orders for more. $75.00. 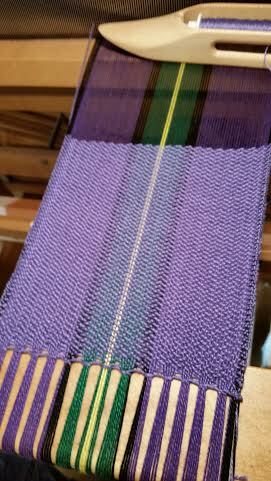 Fresh off Will’s loom, not even yet trimmed, is my latest project. 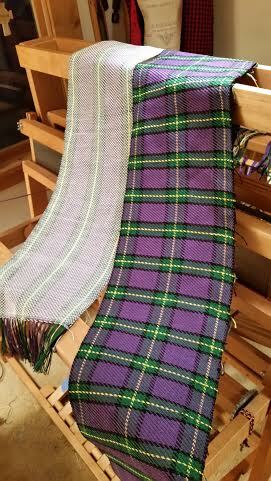 Using the one warp of “Morgan’s Steep” colors (purple, green, black, and yellow) there on the right is a 6 foot long scarf in the “Morgan’s Steep Tartan,” woven in an Advancing Twill. On the left, a 3 foot table scarf in the “Snow on the Mountain” design, woven in the Horizontal Bell Celtic Twill. 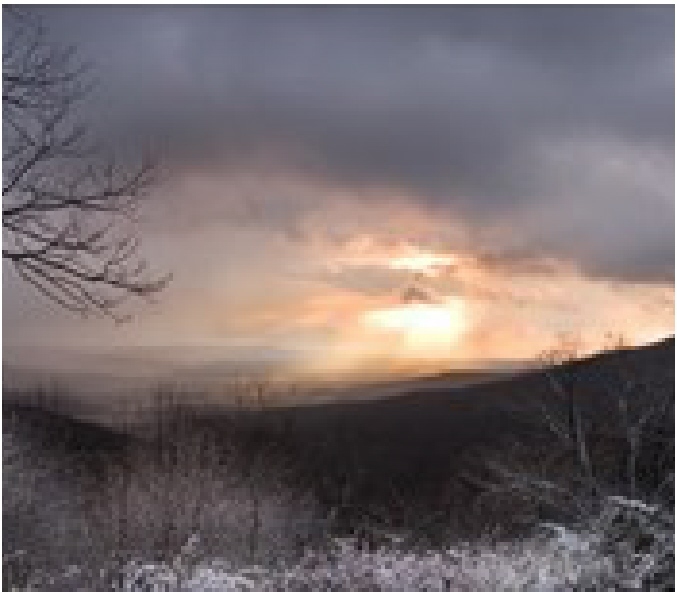 Together they represent the beautiful overlook of Morgan’s Steep, in the summer when colors are rich and vibrant, and in the winter with a light dusting of snow on the ground. 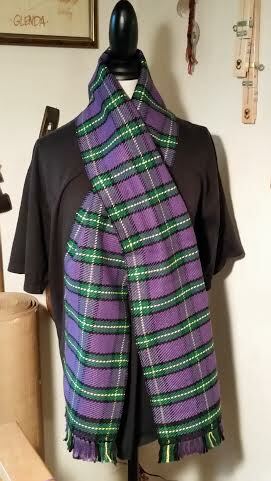 The tartan scarf sells for $60.00, and the smaller table scarf for $30.00. 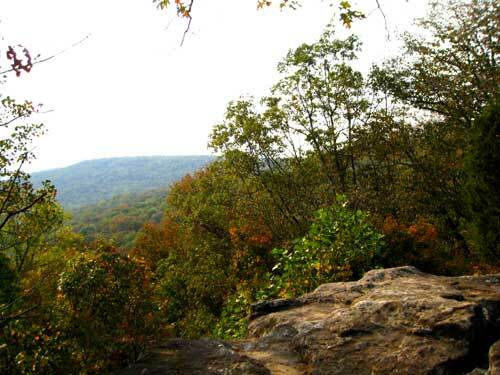 Below, pictures of Morgan’s Steep in summer and winter.